John “Trip” McCormick’s practice is focused primarily in the areas of construction, energy, environmental and toxic tort, medical malpractice and insurance defense. Trip skillfully balances the aggressive pursuit of each client’s legal interests with the parallel interest of growing and developing that client’s business. The legal advice Trip provides is therefore based not only on the best potential outcome of the legal matter at hand, but also with an eye toward the preservation of valuable business relationships and the client’s hard-earned reputation in the community. Trip represents a broad spectrum of clients in the construction industry ranging from architects and engineers to general contractors and subs to land surveyors and vendors. Trip has litigated cases arising from a variety of public and private endeavors including small-scale residential projects and major public works projects such as hospitals, schools, and pumping stations crucial to New Orleans’ hurricane defense systems. Trip prides himself not only in his knowledge of the intricate legal needs of his construction clients, but also in understanding the larger business interests of those who compete in the crowded but thriving New Orleans and greater Louisiana construction industry. Trip’s work in the energy industry includes general advice to oil and gas clients regarding various transactional issues such as production, exploration and royalty agreements; surface and mineral lease negotiation and execution; and the legal impact of pre-existing servitude and easement agreements. Trip’s litigation experience includes all of the above, as well as defending clients involved in offshore production against Jones Act and third-party personal injury claims. Trip has also represented major players in the energy and chemical production industries against claims of both property damage and personal injury allegedly resulting from soil, groundwater and/or air contamination. 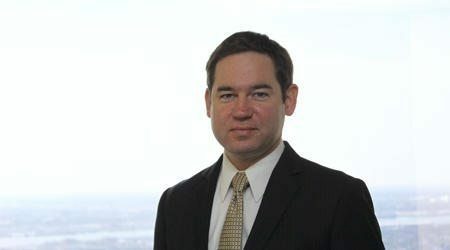 Trip’s work in the environmental/toxic tort arena includes extensive experience litigating Louisiana “Legacy” cases, as well as cases requiring immediate 24-hour incident response management and the rapid development of working relationships with state and local law enforcement and regulatory agencies. Trip represents several in-patient care facilities in medical malpractice, general negligence and premises liability contexts. Trip approaches such matters with a necessary mixture of both constant vigilance for the client’s interests as well as compassion for the client’s residents whose safety and well-being is the client’s ultimate objective. Trip’s insurance defense practice covers a wide variety of casualty scenarios, but focuses on specialty, excess and underinsured/uninsured coverage concerns. Trip is a native of Tulsa, Oklahoma, and moved to his adopted home of New Orleans in 2001. He is a former high school English teacher and freelance writer and editor. Trip currently serves as the Director of Coach and Player Development for the New Orleans Rugby Club, where he has played and coached rugby for nearly 15 years. LSU Paul M. Hebert Law Center, J.D./D.C.L.